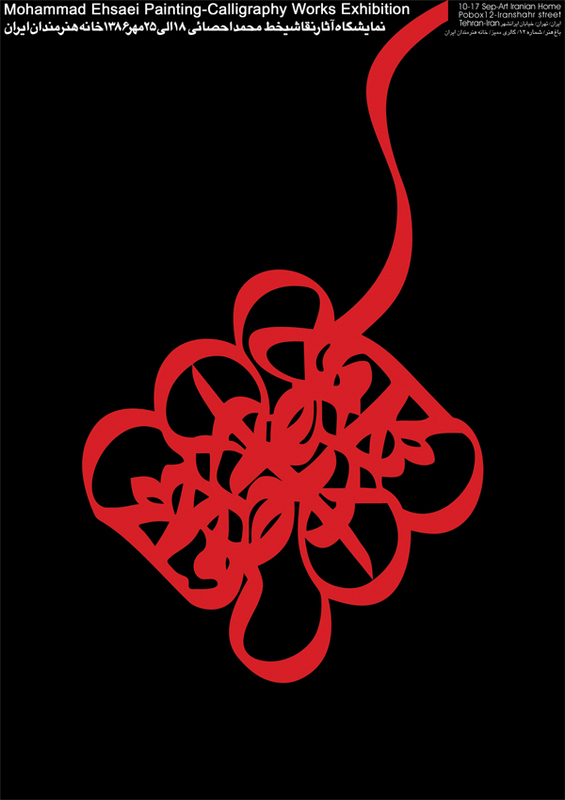 Above: Via the Khatt Network, a poster by Omid Hamooni developed in a course taught by Mehdi Saeedi in Tehran. The focus is the work of the great calligrapher and graphic designer, Mohammed Ehsai (linked here to Rene Wanner’s Posterpage). Omid writes that he is trying to capture the idiosyncratic signature and noteworthy red, apparently a strong presence in much of Ehsai’s work. Omid also sent along many helpful links, including the fascinating typography (dot) ir. Honto ni, mamnoon am, Omid! This entry was posted by Erik Brandt on Monday, December 15th, 2008 at 10:16 AM	and is filed under Aktuell, Education, Globalization, Graphic Design, International, News Links, Typografika, Typography.